There was a successful weekend in Wicklow for Gillian and Ruth as they secured podium places at Run The Ridge, while the Cross Country season got off to a good start ... plus news from Davagh, Dundrum and Amsterdam! 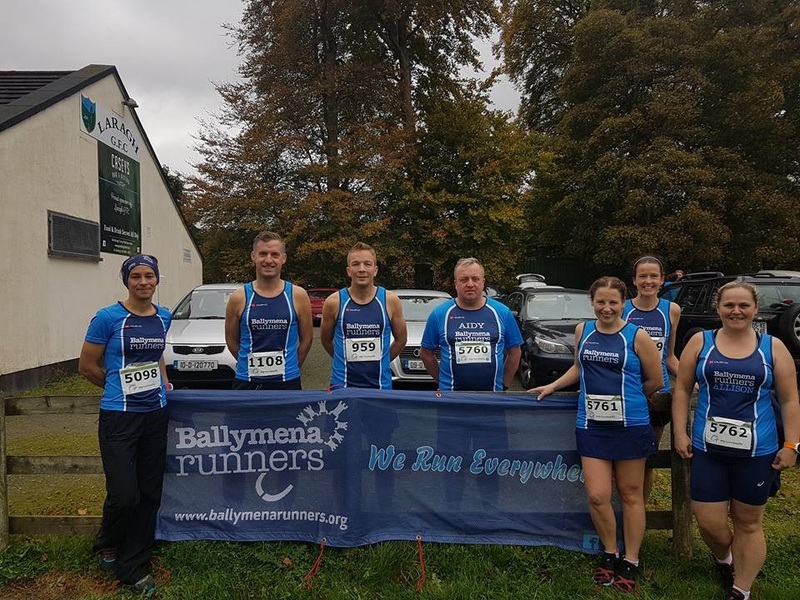 A sizeable contingent from Ballymena Runners made the long journey south to compete in the Run The Ridge in the Wicklow mountains. And it proved to be a highly successful showing for the local runners. In the 20km discipline Gillian Wasson finished second lady overall, breaking the existing course record in the process. 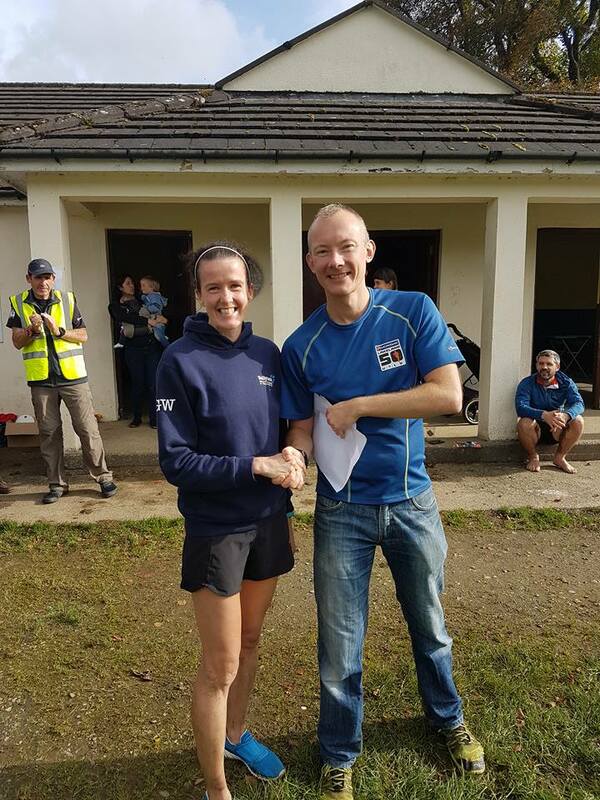 Not to be outdone, Ruth Murphy Aiken also secured a podium spot in the shorter 8km course finishing third. Well done to both ladies! The rest of the strong Ballymena representation on what was, by all accounts a successful trip, consisted of Mark Alexander, Aidy Dodds, Emma Donnelly, Allison Douglas and Tim Lowry. 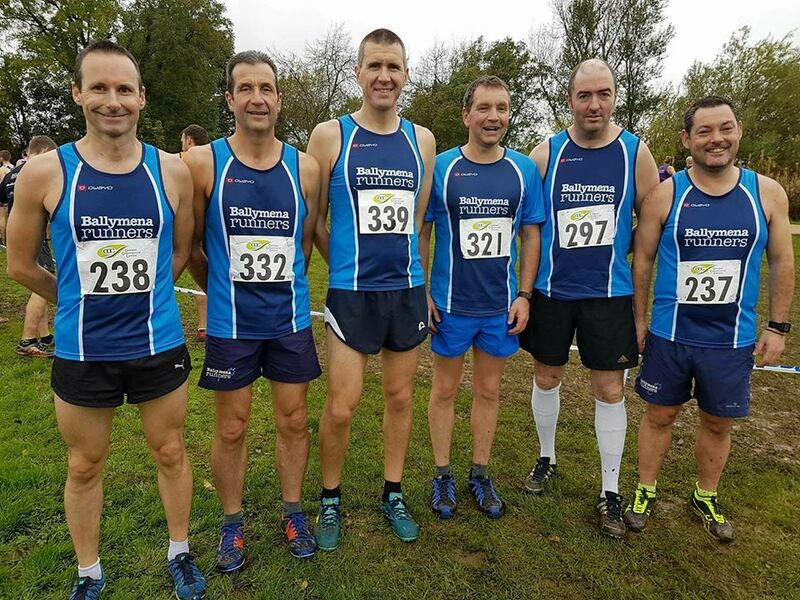 On Saturday 12 brave Ballymena Runners took to the grass for the first race of the Cross-Country League in Comber. Wet, muddy conditions and a rolling course made it a challenging run for all. Kicking off the event for the McKeag Cup were the Ladies and Over 60 men. 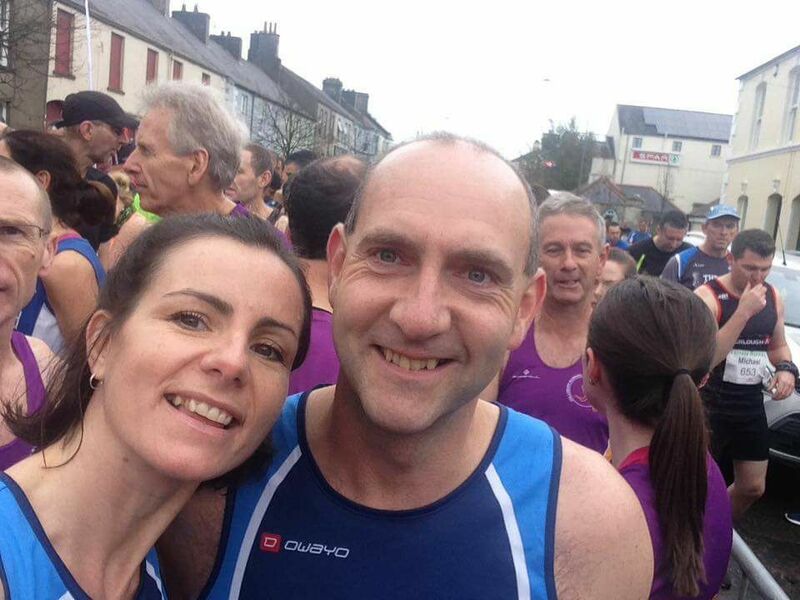 Paula Worthington was first Ballymena Runner home. Paula had one of best runs of the day, good steady pacing and a strong finish gained her an excellent 12th place, and second F35. Next home was Sinead Scullion. In only her second cross country race, Sinead had an excellent result and sneaked into the top half of the field. Following Sinead home was Kelly Courtney (84th) and Brigid Quinn (115th - 1st F70). Shelley Tomlins was determined to gain a point for the team but injury forced her to withdraw. Ray Curran was the only member in the Men Over 60, finishing in a very credible fourth. Next up, for the Comber Cup, was the Male Open and Masters. With the course well cut up now the men had a tough day ahead. Six men took to the start with Ben Morrow the first home in 26th followed by Noel Connor in 34th, second M55. Ricky Agnew, on his return to grass to the first time in two years was 56th. Next home was Seamus Kelly (88th), Nigel Davison (152nd - his first cross country race) and Alastair Donaghy (170th - club captain, who turns out to represent the club in most disciplines of the sport). A great club day out, and a marker for the next league race in Kilbroney Park, Rostrevor in a couple of weeks. The club were well represented in Amsterdam on Sunday for the Marathon and Half Marathon through the streets of the famous, picturesque Dutch city. Well done to John Donnelly and Paul Connolly for strong performances in the 22 degrees heat. John clocked a time of 3:29:43 while Paul, in his first marathon, came home in 3:43:19. In the Half, Neil Douglas impressively came 50th overall, his time of 1:19:38 some three minutes faster than his Great North Run showing last month. Club colours were also worn by Naomi Hutchinson (1:53:53), Paschal O'Sullivan (1:59:40) and Andrew Hutchinson (2:10:33). 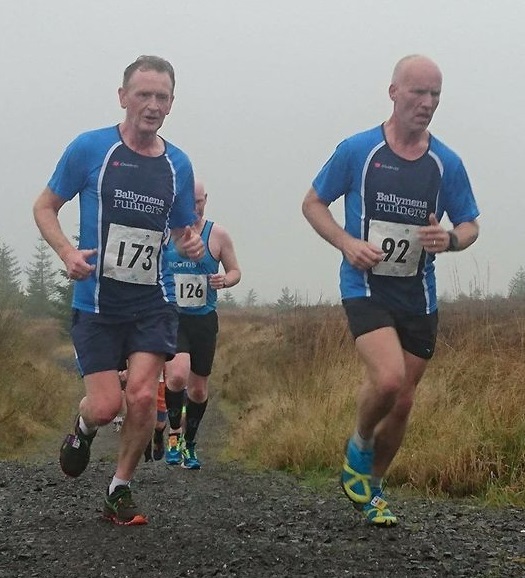 Just shy on 300 runners took to the trails and surrounding roads of Davagh Forest between Magherafelt and Omagh for the inaugural running of Fergal's 10-Mile Race, an event organised in memory of Acorns AC athlete Fergal Mulgrew, who sadly passed away in October 2016. 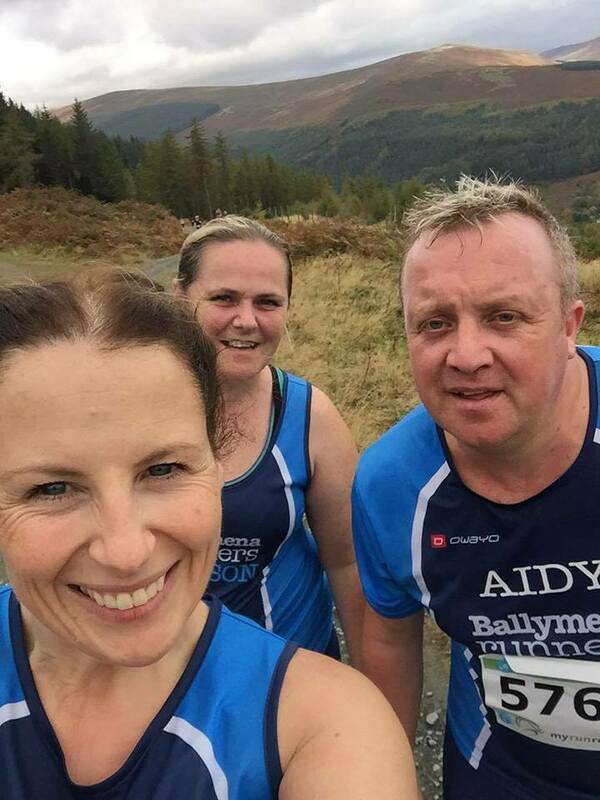 Well done to the three Ballymena Runners athletes who took on the challenge, namely Glenn McGall (1:18:39), David Rainey (1:18:40) and Thamra Millar (1:40:32). On Saturday almost 1000 athletes descended on Dundrum for the latest edition of the GR8 Dundrum Run, hosted by Murlough AC in association with the National Trust. Competitors covered the scenic but challenging eight-mile multi-terrain course, consisting of road, trail, boards, and sand starting, and finishing on the atmospheric Main Street in Dundrum.